I’m happy to announce that the Test-Driven Java Development book wrote by Alex Garcia and me has just been published by Packt Publishing. It was a long, demanding, but very rewarding journey that resulted in a very comprehensive hands-on material for all Java developers interested in learning or improving their TDD skills. If you liked my articles on this subject I am sure that you’ll find this book very useful. It contains extensive tutorials, guidelines and exercises for all Java developers eager to learn how to successfully apply TDD practices. Writing a blog like this requires a lot of time. By purchasing a copy of the book you will not only get a valuable material but also allow me to continue writing new articles. Posts in this blog are only a fraction of what you will find in the book. You can download a sample or purchase your own copy directly from Packt or Amazon. This entry was posted in Java, Test-driven development and tagged Java, Test-driven development on August 29, 2015 by Viktor Farcic. In the previous article we finished one Polymer Web Component. It contained a form that could be used to add, update and remove books by sending HTTP requests to the back-end server. We also explored few different ways to interact with the component from outside by calling its functions. In the previous article we created our first Polymer Web Component using Test-Driven Development approach. While all the specifications we wrote were implemented, there are still few things we should do to polish this component. 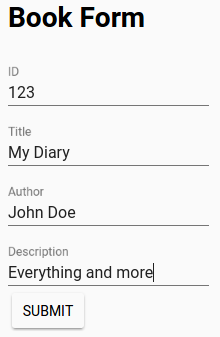 The tc-book-form currently has the form with all the input fields required by the back-end. It also has buttons to add or update and delete a book. Those buttons are calling iron-ajax Polymer element that sends requests to the back-end. Both front-end (in form of Web Component) and back-end are developed as a single microservice. The next task in front of us is to polish the component. Later on in this series we’ll create another component that will list all books. We’ll also develop the code that will enable us to establish communication between those two components. Once we’re done with both, we’ll explore ways to integrate the microservices we developed into a separate Web Application. In this article series we’ll go through Web Components development in context of microservices. We’ll use Polymer as the library that will help us out. The objective is to create a microservice that will handle full functionality. The service will contain not only back-end API (as is the case with most microservices) but also front-end in form of Web Components. Later on, when the time comes to use the service we’re creating, we’ll simply import Web Components. That is quite a different approach than what you might be used to. We won’t create a Web Application that calls APIs handled by microservices. We’ll import parts of the front-end from microservices. Our objective is to have a microservice that contains everything; from front-end to back-end. Please refer to the Including Front-End Web Components Into Microservices article for more information that lead to this decision. I am a huge fan of Test-Driven Development so we’ll write all the code using test first approach. We’ll write a test, run all tests and confirm that the last one fails, write implementation, run all tests and confirm that all passed. Tests will act as executable specifications. We’ll use them to define what should be implemented. If you are new to TDD and the concept of executable documentation, please read the article Tests As Documentation. A programming kata is an exercise which helps a programmer hone his skills through practice and repetition. Tests that prove that the solution is correct are displayed below. Recommended way to solve this kata is to write the implementation for the first test, confirm that it passes and move to the next. Once all of the tests pass, the kata can be considered solved. What is Test-Driven Development (TDD)? 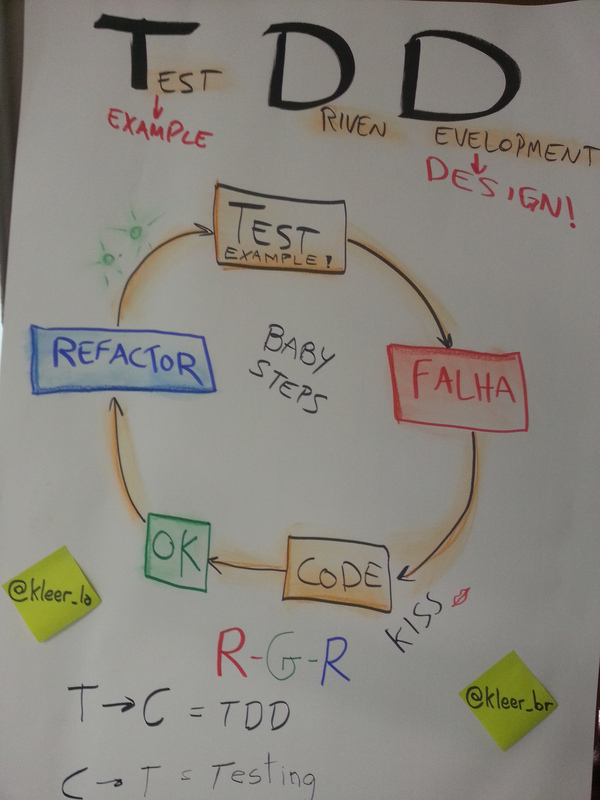 Test-Driven Development is a process that relies on the repetition of very short development cycle. It is based on the test-first concept of Extreme Programming (XP) that encourages simple design with high level of confidence. This entry was posted in Test-driven development, Testing and tagged Mocking, TDD, Test-driven development on September 30, 2014 by Viktor Farcic. In this article we’ll go through the exercise of writing a method that will write string content to the specified file. There will be an option to specify whether we should overwrite an existing file. In addition, directories should be created if they do not already exist. Programming language is Scala and testing framework that will be used is Specs2. In the spirit of unit testing, instead of interactions with the file system we’ll use mocks with Mockito (already included in Specs2). All the code will be done using Test-Driven Development (TDD). This article is based on an existing code done for the open source application BDD Assistant located in the TechnologyConversationsBdd repository. This entry was posted in Scala, Test-driven development, Testing and tagged Mockito, Scala, Specs2, TDD, Test-driven development on September 17, 2014 by Viktor Farcic.